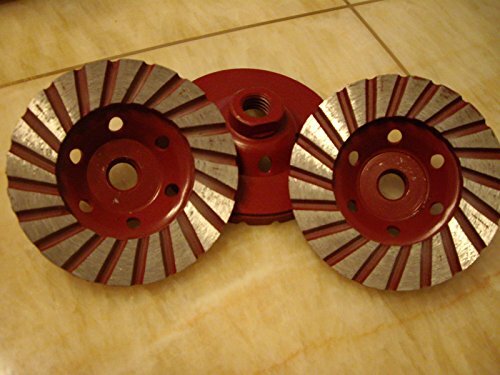 3 Pieces of 4.5" / 115mm Diamond Ultra Wide Segment Turbo Row Gridning Cup Wheel for concrete stone. Ideal speed of grinder to use it: 4000-10000 RPM. If you have any questions about this product by Asia Pacific Construction, contact us by completing and submitting the form below. If you are looking for a specif part number, please include it with your message.